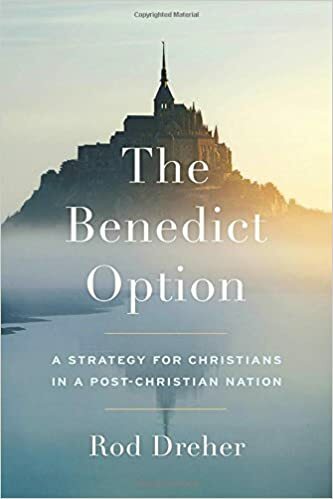 In Christian circles, many have been talking about Rod Dreher’s book The Benedict Option: A Strategy for Christians in a Post-Christian Nation. Fact is, people have been talking about it for about three years now, because that’s how long Dreher has been doling out bits of his major thesis about why Christians need to form their own remote, intentional communities. Given how much I’ve read of what Dreher has already written online, I will probably never read the book. Oddly enough, that’s my review of most Christian books advocating for widespread change or action from all Christians. At one point, I used to be keen to grasp and understand this idea of preserving Christian faith from the ravages of rapidly degrading culture. Like many Christians, I had concerns about this thing or that. I had worries. I’m sure you have or have had worries too. But what I have come to realize in the last few years is that the reasons the Church in America is worried, or needs to worry, or doesn’t need to worry, are not really about what is happening outside the Church, but inside. You can say that’s always been the focus of Cerulean Sanctum: Church Heal Thyself. But you read all these dystopian nonfiction books about the bad stuff arriving soon to hurt the Church, and what you finally realize is that all these books and warnings, and cautions, and handwringings are all brilliantly reasoned answers to the wrong questions. We have this strange, self-absorbed idea in contemporary Western Christianity that the most pressing issue for the entirety of the world is that one thing that is most pressing to me. And we wonder how it is that people can be so blind so as not to see X bearing down on us like a runaway train. Why is it that you aren’t taking X seriously? Why aren’t you doing something about X? You must be in sin because X doesn’t matter to you as much as it does to me. And after a while, it all gets silly, this one-size-fits-all approach to discipleship and God’s working in the lives of His people. Hear what God asks of me for my situation alone. In response to that hearing, do what I can to achieve it with the unique resources God has provided to me. It sounds to me that God may be asking Rod Dreher to write a book about intentional communities that create a place of retreat. Maybe God is asking Rod Dreher to even start one. That’s great for Rod Dreher. And while it’s great for Rod Dreher, what it does not mean is that I must necessarily heed Rod Dreher’s call and follow the Benedict Option. What is God asking of me in the situation in which He has placed me? What is God asking of you? It seems to me that where we have gone astray in the modern church isn’t so much that we lost the culture wars and now must retreat to intentional communities but that we have made it mandatory to follow what some Christian leader, prognosticator, or pundit says. Sure we can listen, but we can also reject if that person’s message conflicts with what we know God is asking of you or of me in the situation you or I find before us. Possessing no one-size-fits-all approach to life can be frightening. It means there isn’t a uniform plan. I think this scares us because listening to God to find our next steps can be hard. You can’t listen if you don’t draw near, and drawing near takes time and quiet. And we run the risk of getting the listening wrong. This causes anxiety. Here is where we make our second mistake. Who founded the faith you have? God alone. Who is perfecting the faith you have? God alone. Who can force God’s hand on any of this? Not you. Not me. No one. You and I are not in control. You and I did not start this, and we will not finish it. All that is on God. In fact, all God really asks of us is to show up. That’s it. And some days, we may not even do that. I think He understands that happens sometimes. What God really wants from us more than anything else is to draw near to Him and to talk with Him and listen. It may be that in any given day, all I can do is go to the grocery store, buy some Pepto, and help a sick family member get over an upset stomach. Is that what God is asking of me? Perhaps it is. Perhaps that is the extent of today’s focus. Perhaps that is what I am hearing from God when I draw near to Him today. And if that’s all there is, that’s OK. My eternal security does not rest on what I get done today but in whom I rest, the Lord. It may be that God is calling some Christians to live radical lives on the fringes of civilization. Or He may be calling some to care for the sick in hospitals or to build airplanes. Or He may be saying to some to cease from their labors for the moment and just rest in Him. Or He may be asking some to write a poem or a letter of encouragement to someone else. Most likely, whatever it it is He may be asking of you or me, it may be something small, something for this moment. Our mistake is to criticize another Christian for what he or she may or may not be doing based upon what we think we should or should not be doing. Yes, the Bible does lay out a few clear boundaries, but within those boundaries reside entire worlds of conversation and opportunity. And the conversation you had with God and the opportunity it created is unique. I won’t criticize you about mine. Don’t criticize me about yours. When and if possible, let’s do what we can to help each other make each other’s possible. So as a review of The Benedict Option, I say, whatever. Maybe it is God’s word to you about your next step. Or maybe it’s not. Whichever answer it becomes to you as you draw near to God and listen, God is thankfully in control. One of the effects of multiculturalism amid globalization is that more and more people are exposed to the often strange belief systems of others. And regardless of what others may say, everyone has a belief system. You may insist you don’t believe in anything or anyone—no gods, goddesses, gurus, or guides—but that very lack of believing is itself a belief. The problem with most belief systems: almost every one of them has a core understanding that to be a faithful believer in that belief, one must do something to be shown acceptable or holy. And in almost all cases that means one must keep doing that holy practice. In those few cases when a practice may be done once, it is simply replaced with another practice to perform, ad infinitum. In short, almost all the world’s religions consist of little more than sets of rules. So, the religious rule is never to carry items on the Sabbath day or else that is considered work and not God-ordained rest, although carrying inside the house is OK. So make your house larger by erecting walls in the wider community and call them part of your house. And then when upkeep on masonry or lumber gets too burdensome, convert the wall into a string. Presto, you have an eruv. Jesus ran into that kind of man-made holiness and was not impressed. Religious rulekeepers get offended easily. In Jesus’ day, He drove the rulekeepers batty. They tried to pin down Jesus by their rules, but Jesus would tolerate none of it. He countered by quoting the prophet Isaiah and noting the rulekeepers had made a scandalous “holy” rule that if they devoted their stuff to God, they had no responsibility to use it to help their parents. Jesus called these men “hypocrites” not because they were violating their own rules but because they thought their rules were making them holy—when those rules were actually doing the opposite. Most religions are rules made by men. They trap adherents in a maze of do’s and dont’s that only lead people into despairing pits of precepts and farther away from God. Rules upon rules, and men and women trying desperately to keep an endless string of them, almost always failing, if not by the letter of the law then by its spirit. The Christian faith is utterly different. The Christian faith rejects any idea that anyone can abide by enough rules or keep them well enough to be seen as holy in God’s eyes, to be good enough to merit God’s favor. We might as well try to blow out the sun as ever get to a place by our own works and religious efforts where we can stand before the presence of a holy, spotless, perfect God. But a Way exists, and it’s not by following rules but by faith in a person, Jesus Christ. He WAS perfect. He kept all the holy rules. He never erred, never sinned. And in dying on the cross, He imparts to all who receive Him that same holiness, through grace. Jesus finished all the holy work so that we will never have to. By grace, through faith, we can be covered for all responsibilities for holy works through the finished work of Christ alone. That is what Jesus meant when He uttered His final words on the cross: “It is finished.” He completed the religious tasks. He met all the goals. He checked every checkbox so that those who place their faith in Him can be freed from rules made by men, and even those rules made by God to show how impossible it is for a human being like you or me to keep those rules and be holy by our own efforts. Thankfully, Jesus DID keep them all, and the requirement on us has been satisfied by Him forever. This is the Good News of the Gospel of Jesus Christ. This weekend, I listened to a podcast from a well-known Christian organization that featured the banter of two notable hosts. 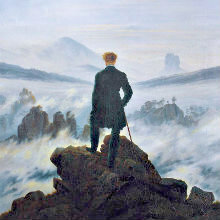 The subject was not banter material, though, because it focused on the alarming rise in the last few years of suicide. The hosts attempted to pin some of the blame on economic realities. This is no doubt true. One demographic to experience an alarming rise in self-harm: men in their 50s. For most men, the early 50s are imagined as peak earning years. When a job loss or income drop happens at this time, the results can be catastrophic, especially since 50 is the new 70 in the eyes of the corporate world. When the hosts shifted into talking how the Church should be the answer to people who are looking for hope amid economic misfortune, I wondered if they listened to their own show. Why? Because something telling betrayed their response. It’s the reason why economic realities are not the greater portion of the problem of suicide and its rise. All throughout the podcast, the hosts mentioned their individual, personal brands. They dropped the names of the top schools their kids attended. They talked titles and honors. In doing so, they broadcast a sub-message greater than the Gospel—at least greater in its ubiquity. It’s the message that powers America and drives people to pull the trigger, cut the wrists, and take the pills. It’s the message of the Organ Grinder’s Monkey. 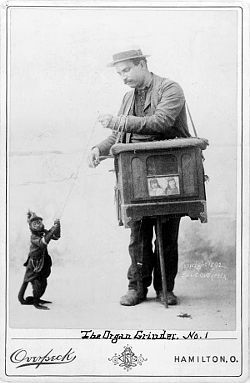 I’ve never seen an actual organ grinder and his monkey. Italian men with handlebar mustaches come to mind, wearing Tyrolean costumes, while a capuchin or spider monkey gambols about his feet in a cute, little red vest and fez. The one thing about the monkey: It never stops doing its shtick. Fact is, it can’t. Gotta keep dancing so long as the organ music plays. I visited the website of a well-known church growth leader, and the one thing that impressed me most about his message was how often he begged people to retweet it, buy it in book form, and share his name with friends, neighbors, the neighbor’s dog, the fleas on the dog, and the mites on the fleas. Because you gotta keep dancing. Gotta be flogging that personal brand. You. Gotta get those kids into a name school. Gotta hold down that title, that chair, that fellowship, that thing that will justify your use of air. Gotta. Because the organ is grinding, the music is playing, and it’s dance or Antonio finds another monkey. You have to be “on.” All the time. Do. There is no do not. Everywhere you turn, it’s perform or die. The problem is that the Gospel comes along and it’s 180-degrees in opposition to the lifestyle of the organ grinder’s monkey. The Gospel’s freedom comes in not having to dance unendingly. People are no longer slaves to the music the world pipes. God doesn’t give a rip about your personal brand because you’re a mess and will be until you draw your final breath. Your personal brand is just another load of skubalon. So stop with the charade. Grace. Why do people despair enough to end their lives? I think too many feel that they can’t let their guard down, can’t stop dancing, can’t stop performing, and just can’t shill for even one second more for themselves or for whomever their organ grinder might be. They simply cannot keep up. When I listen to a Christian podcast and the message sounds like the organ grinder’s music, I don’t wonder why people are not in the seats on Sunday. Because there’s no relief. If the Church can’t tell people they can stop being an organ grinder’s monkey—and give them actual help to cease the tarantella—then no one will. Freedom in Christ will remain high concept and low reality. We can talk all we want as a Church about grace, but until we stop with the performance mentality, we’ll sit back and watch the suicides pile up and blame them on everyone and everything EXCEPT the real cause. We took a cruel world and fed into it a bunch of performance lies that make it even crueler. It’s time, Church, to help people throw off their monkeydom and embrace the freedom that comes from being identified by more than our performance.